To learn more check here, or download a .PDF of the Listing here. From the Architektenkammer Baden-Württemberg, for the "Neubau Tischmanufaktur Adam Wieland / Karlsruhe." To learn more about this project check here, or visit the AK-BW here (in German). & iwb Ingenieurgesellschaft mbH, Braunschweig. Nominated for the BDA / NIKE 2016 Prize (Soteria Berlin). here or visit the English BDA website here. announcement here (both in German). English Title: "Architecture and Psychiatry - the View of the Architect"
English Title: "Creation of a therapeutic milieu"
Contact us here for more information on this article. or see the article online (original in German) here. by Christine Schroeder, featured article in the Öffentlicher Bauten / Public Buildings issue. Download a copy here (Pages 100 to 101). To learn more about the book check here. English Title: "Healing ambience", in – Journal Architekten und Planer, 03.2017, Pages 138-140. 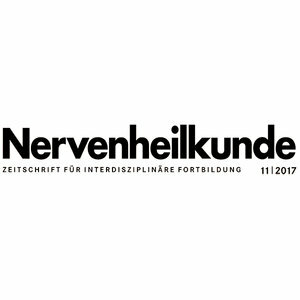 The original article (in German) is available online from the publisher here or contact us here if you questions or comments. Contact us for more information or see the article online (in German) here. Contact us for more information or order the PDF here. by Christine Schroeder, featured article in the Gesundheit und Wellness / Health and Spa Issue. Download a copy here (Pages 94 to 99). Download a PDF (web print) here or check out the story online (original posting) here. Stream the story on NPR-Berlin here. Or download an MP3 file here. 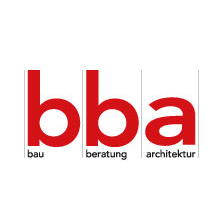 BDA Berlin (Bund Deutscher Architekten Landesverband Berlin e.V.) / Berlin, 2015. To learn more check here. Or download a .PDF of the Listing here. Download a copy here (See pages 32 to 37). "Atmosphäre als Therapeutikum – Die Soteria Berlin"
Download a copy here (see page 22). Please contact us for more information about this publication. "Die Architektur" (Auszug) - Das Aufbau Haus, Ein Haus. Ein Konzept.